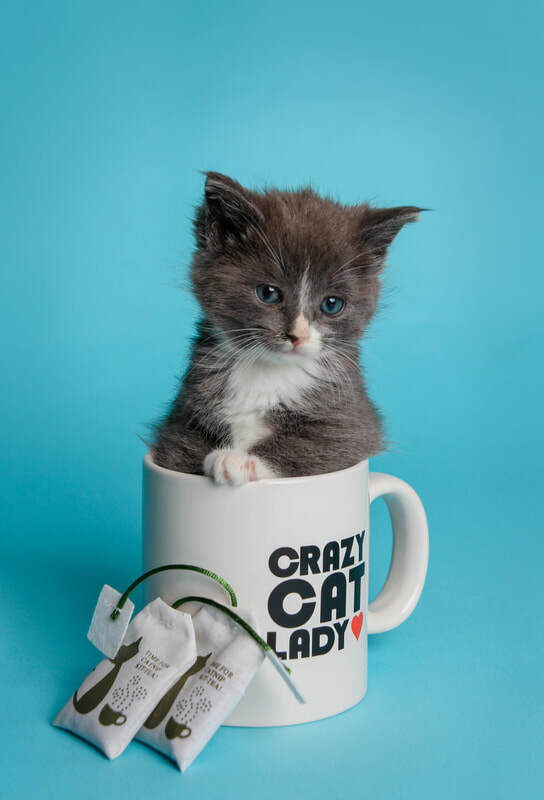 Velma is the cover girl for our Cat Cafe fundraising campaign! She's also the most mellow sister in her litter. When she was born, she stayed closest to her mother, waiting to see what civilization was all about. She's more likely to pile on the cuddle puddle than the wrestling matches with her siblings, but she can certainly chase a stick toy with the best of them! She's a stocky and thoughtful girl, who loves having her head mooshed. She gets along superbly with other cats, and the toddler she's fostered with. She doesn't pay much attention to the dog. If you are looking for someone to solve the mystery of life with, Velma is your girl!